At Forks Outfitters we are always looking for enthusiastic, customer service oriented people who would like to join our team. Positions come available from time to time so it is best to have an application on file. Applications for all positions can be completed by filling out our Employment Application and returning it our Customer Service Center. 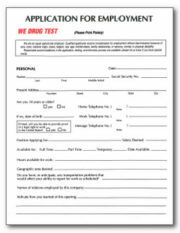 If you prefer, hard copies of our employment application can also be picked up from our Customer Service Center. Serves customers by receiving, storing, preparing, and displaying meat, poultry, and seafood; completing special orders. Portions and prepares meat by cutting, trimming, boning, tieing, and grinding meats. Packages and displays product by preparing a variety of package sizes and portions. Keeps product available by inventorying stock; placing orders; verifying receipt. Receives meat, poultry, and seafood by verifying items received against orders placed; verifying condition. Maintains safe, secure, and healthy work environment by following and enforcing standards and procedures; complying with health, sanitation, and legal regulations. Wage in accordance to UFCW pay scale for geographic area.